511.org – a great trip planner! Ever wanted to go somewhere in the Bay Area (e.g. 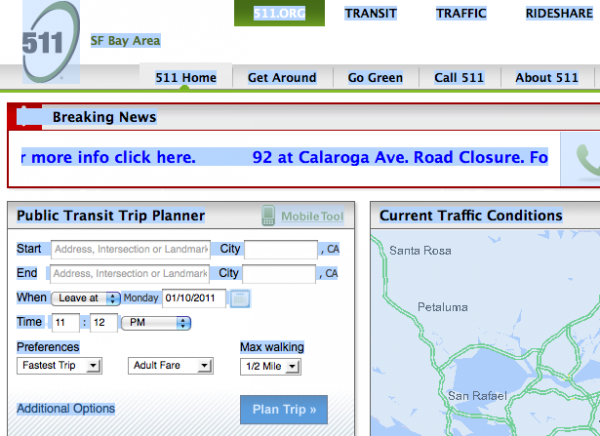 San Francisco) – but don’t know how to get there without driving? Here is a great website that can help….www.511.org (see screen shot below). Have you tried it yet? You just put in where you are coming from and where you want to go – and it tells you how to do it! Great tool. It covers ferries, buses, trains, etc. Speaking of which, there is an au pair that doesn’t drive and would like to sign up for an English class at College of Marin that starts on Jan. 24. It’s on Mon. and Wed. evenings from 6:40 to 8:30pm (Level 60). I just looked on the 511 website and for her to get to class would take an hour, including walking for 40 minutes – so probably not ideal. 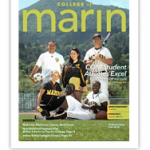 Is anyone planning to take a class on Monday or Wed. at College of Marin this semester? If so, she would love to carpool with you (and can help pay for gas). If so, please let me know – or post on the Marin Au Pairs Facebook page. Remember – you can take either credit classes (you’ll need 6 credits per year – the larger Green catalog), or the hourly classes (Community Education classes – cheaper and more fun in the smaller black catalog), you’ll need 72 hours per year (or a combination of both). Here is the link to both of the classes offered for Winter/Spring 2011. http://www.marin.edu/schedule/index.htm The Community Education classes (e.g. Hiking) start Jan. 31 – Feb. 4 and the credit classes start Jan. 24. 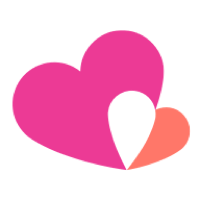 Please post on the Marin Au Pair Facebook page if you would like to see if others are taking the same class as you are thinking about – or hear about a good class. Also – I’ve heard that some of the new (and old) au pairs are heading up to the Cheesecake Factory in Corte Madera on Wed. night if you are looking to meet other au pairs, stop by. I’ll meet all of you next Tuesday at the Cantina in Mill Valley for our monthly meeting. I’ll be out of town (in Boston with Cultural Care) from Thursday until Sunday night – another LCC is covering for me so if you need something urgent, email or call me and I’ll put you in touch, or call 1-800-333-6056.